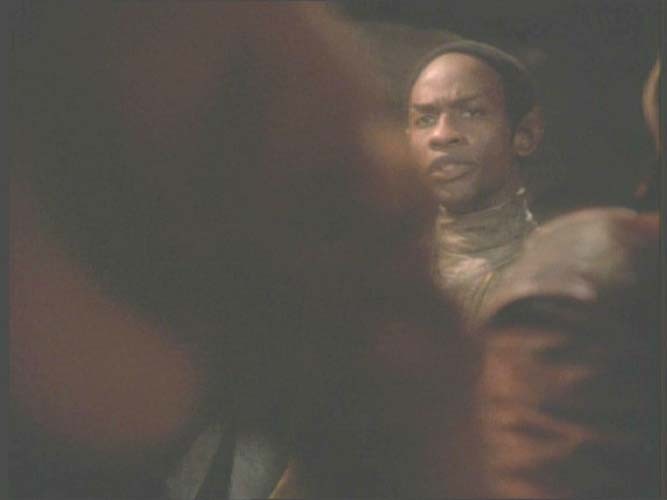 Pictures of Tim Russ as the Mirror-Tuvok in the DS9 episode "Through The Looking Glass"
Star Trek Deep Space 9, season 3, episode "Through The Looking Glass"
DS9 is, of course, © Paramount Pictures. 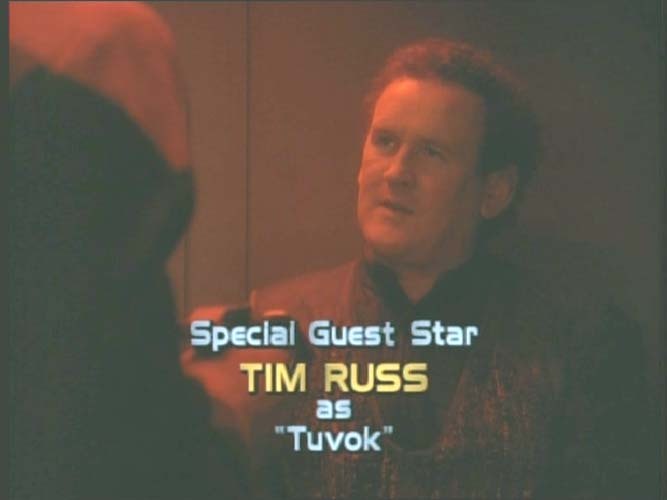 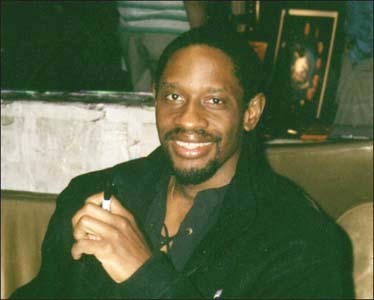 Tim is credited as "Special Guest Star" and he plays Tuvok from the Mirror Universe. 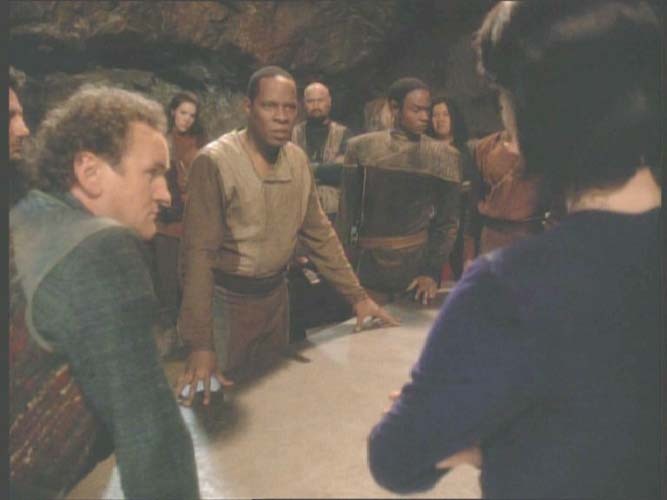 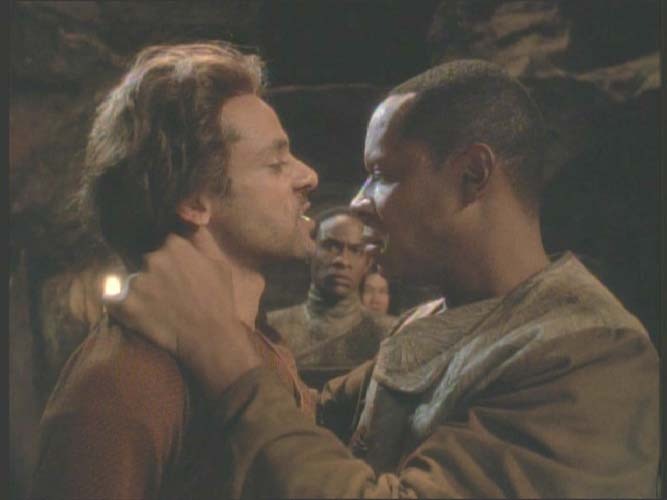 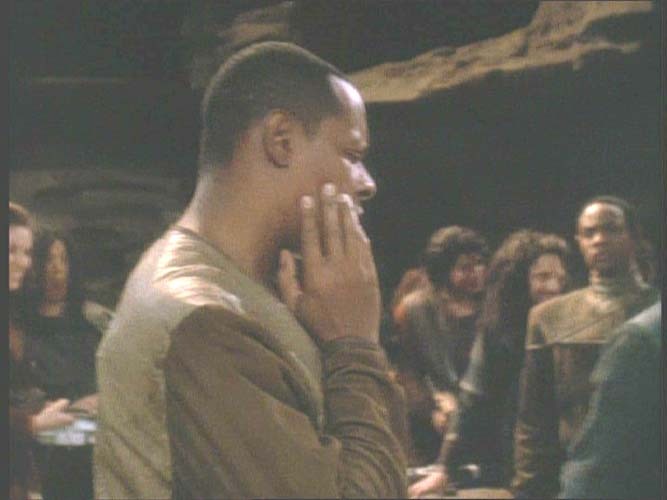 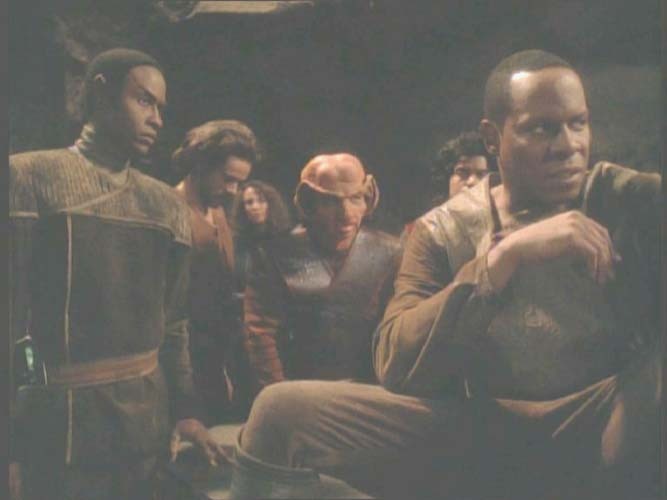 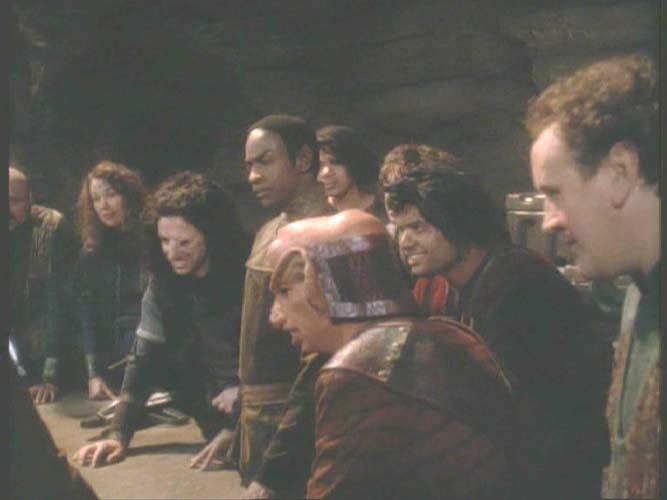 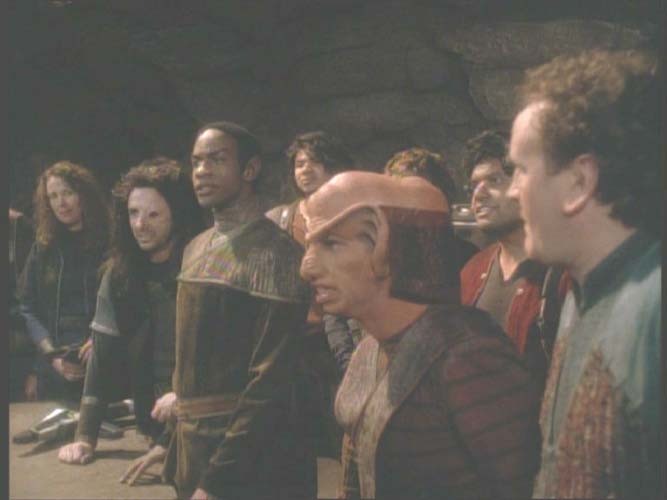 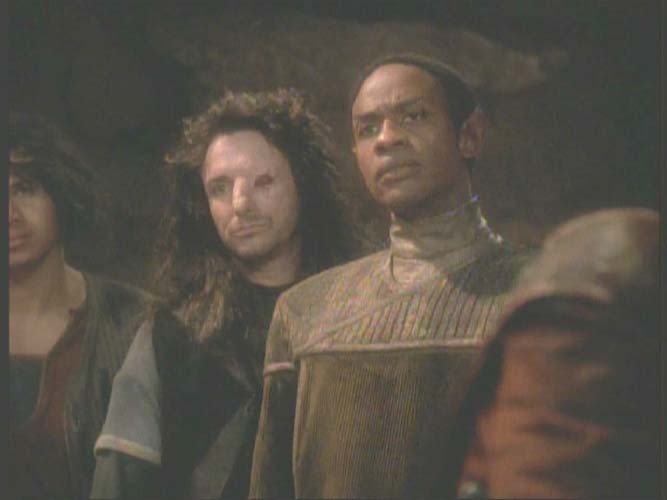 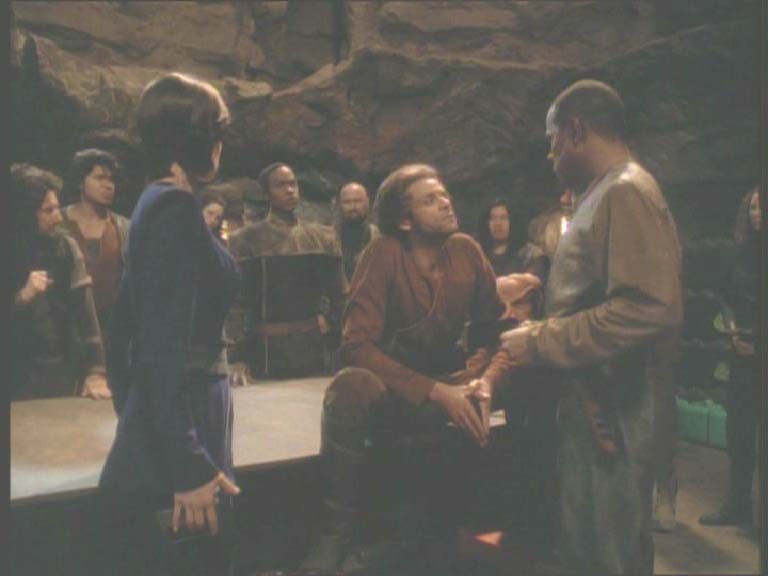 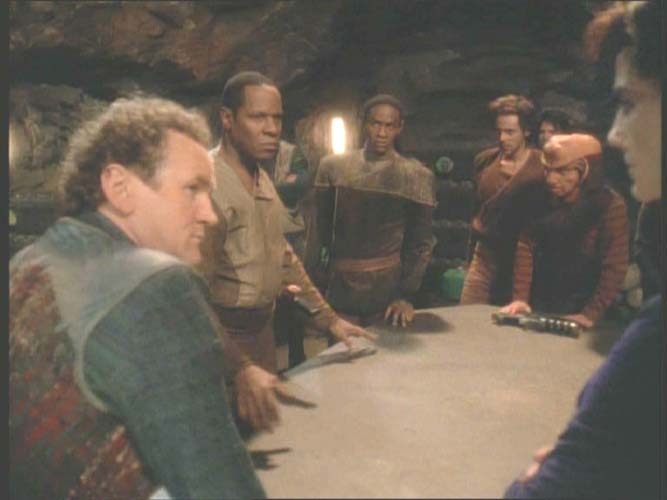 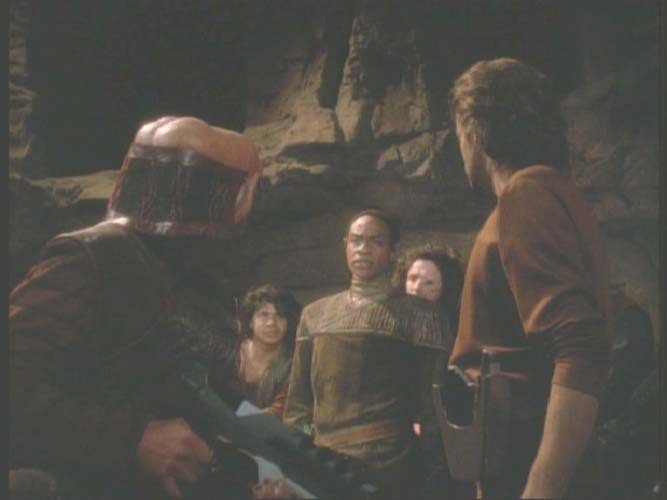 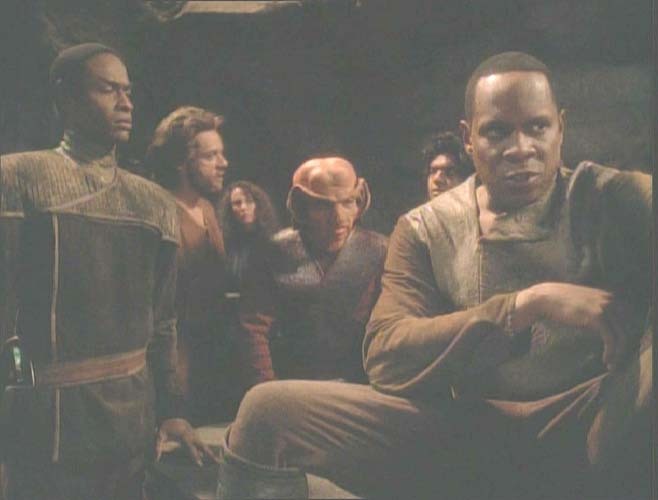 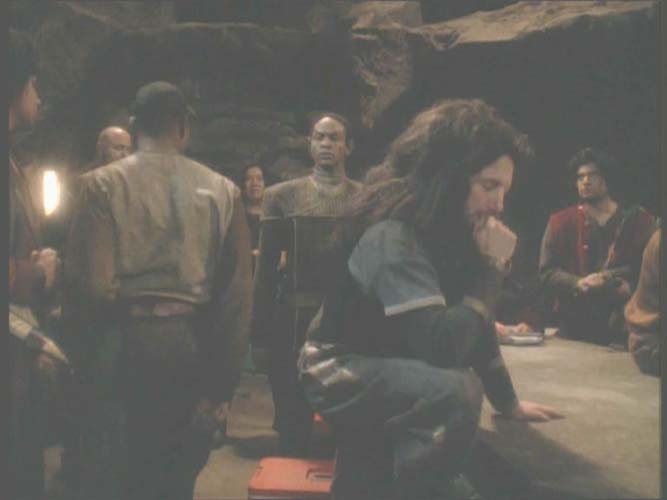 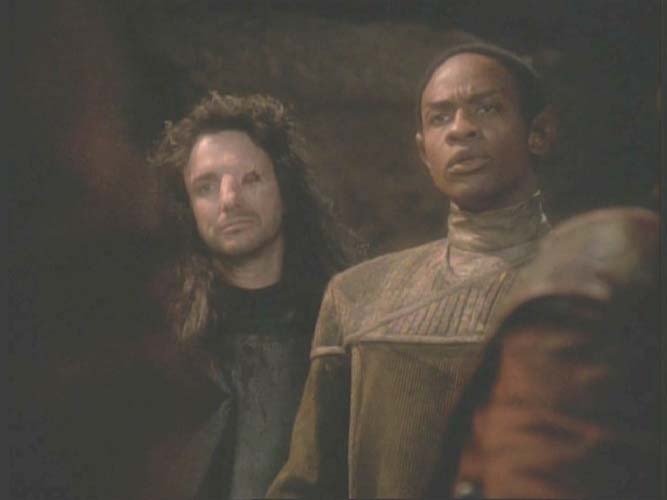 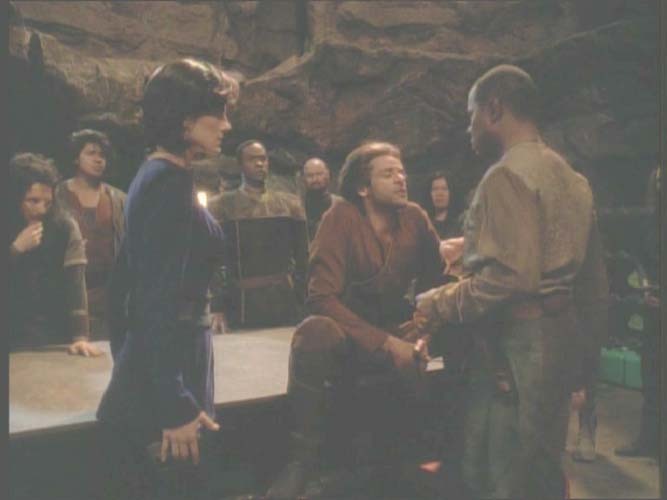 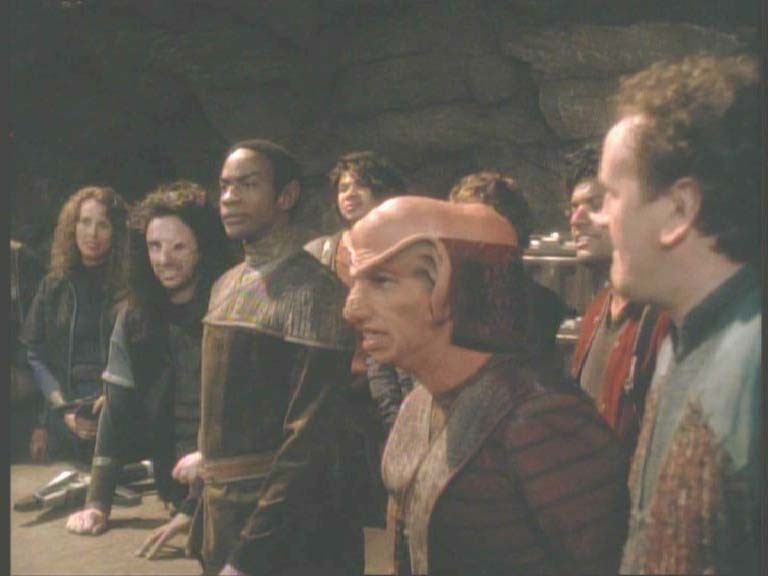 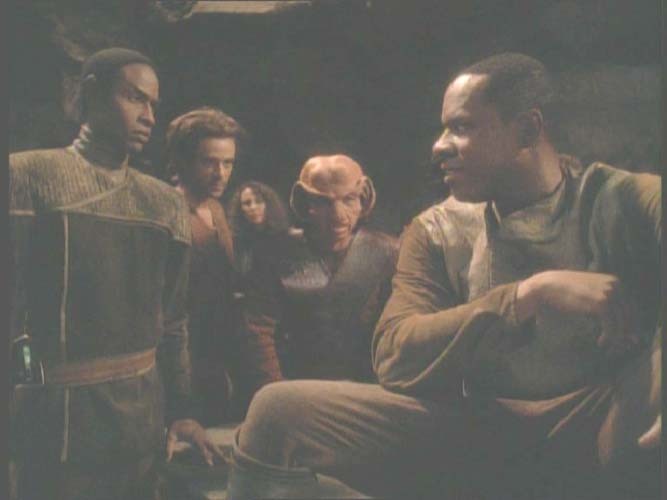 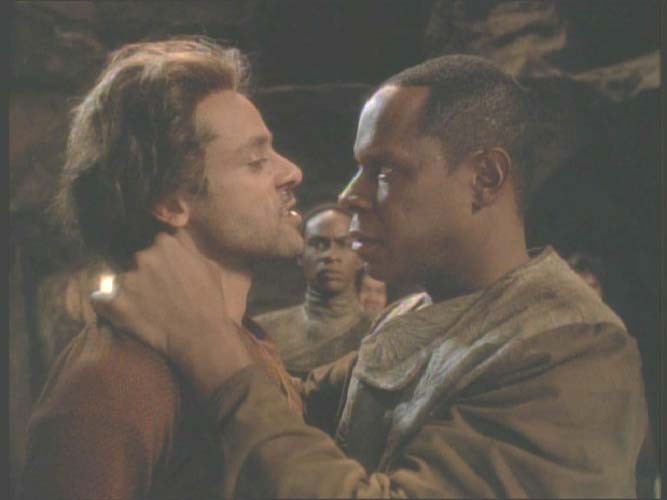 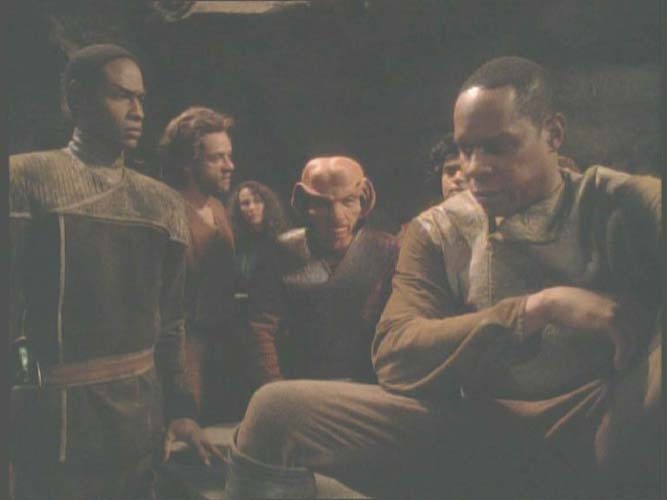 He is with Captain Sisko, "Smiley", Mirror-Rom, Mirror-Bashir and their group. 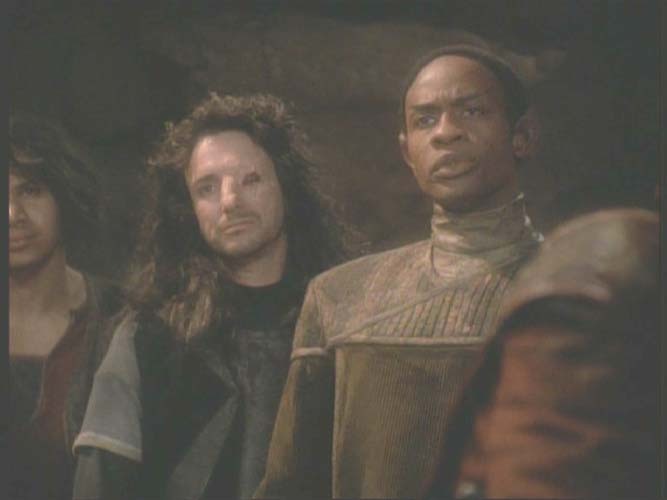 It's not a big part, but a nice cameo. 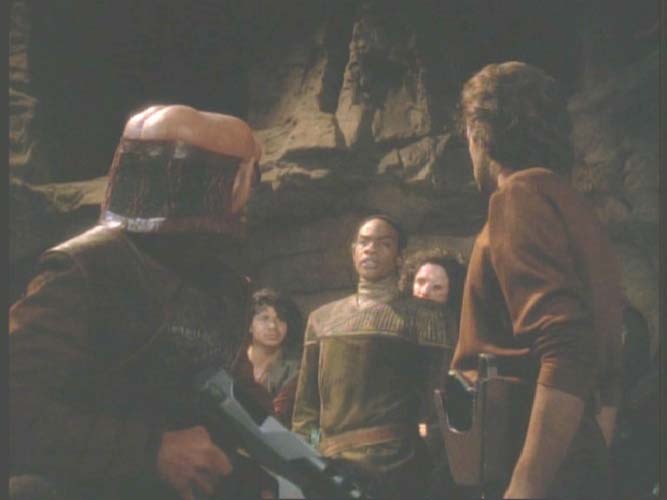 And it was the first cross-over of a Voyager character to one of the other series.